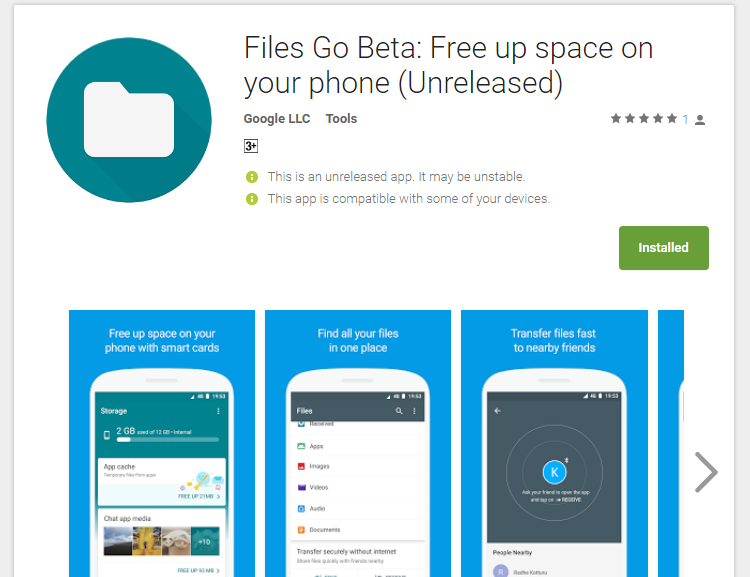 Google has released it's new app called "FILES GO". Files Go helps user manage the internal storage and microSD storage. The app also let's you clear junks, remind you to uninstall unused app and few more. At the time of writing of the article, the app is available in Play Store as unfinished version and by clicking the link in the article for the Google's File's Go app you will see in title which says "Unreleased" in brackets.